The software does not properly restrict the size or amount of resources that are requested or influenced by an actor, which can be used to consume more resources than intended. Limited resources include memory, file system storage, database connection pool entries, or CPU. If an attacker can trigger the allocation of these limited resources, but the number or size of the resources is not controlled, then the attacker could cause a denial of service that consumes all available resources. This would prevent valid users from accessing the software, and it could potentially have an impact on the surrounding environment. For example, a memory exhaustion attack against an application could slow down the application as well as its host operating system. The most common result of resource exhaustion is denial of service. The software may slow down, crash due to unhandled errors, or lock out legitimate users. In some cases it may be possible to force the software to "fail open" in the event of resource exhaustion. The state of the software -- and possibly the security functionality - may then be compromised. Automated static analysis typically has limited utility in recognizing resource exhaustion problems, except for program-independent system resources such as files, sockets, and processes. For system resources, automated static analysis may be able to detect circumstances in which resources are not released after they have expired. Automated analysis of configuration files may be able to detect settings that do not specify a maximum value. Automated static analysis tools will not be appropriate for detecting exhaustion of custom resources, such as an intended security policy in which a bulletin board user is only allowed to make a limited number of posts per day. Certain automated dynamic analysis techniques may be effective in spotting resource exhaustion problems, especially with resources such as processes, memory, and connections. The technique may involve generating a large number of requests to the software within a short time frame. While fuzzing is typically geared toward finding low-level implementation bugs, it can inadvertently find resource exhaustion problems. This can occur when the fuzzer generates a large number of test cases but does not restart the targeted software in between test cases. If an individual test case produces a crash, but it does not do so reliably, then an inability to handle resource exhaustion may be the cause. Design throttling mechanisms into the system architecture. The best protection is to limit the amount of resources that an unauthorized user can cause to be expended. A strong authentication and access control model will help prevent such attacks from occurring in the first place. The login application should be protected against DoS attacks as much as possible. Limiting the database access, perhaps by caching result sets, can help minimize the resources expended. To further limit the potential for a DoS attack, consider tracking the rate of requests received from users and blocking requests that exceed a defined rate threshold. The first of these solutions is an issue in itself though, since it may allow attackers to prevent the use of the system by a particular valid user. If the attacker impersonates the valid user, he may be able to prevent the user from accessing the server in question. The second solution is simply difficult to effectively institute -- and even when properly done, it does not provide a full solution. It simply makes the attack require more resources on the part of the attacker. Ensure that protocols have specific limits of scale placed on them. Ensure that all failures in resource allocation place the system into a safe posture. CVE-2009-2874 : Product allows attackers to cause a crash via a large number of connections. CVE-2009-1928 : Malformed request triggers uncontrolled recursion, leading to stack exhaustion. 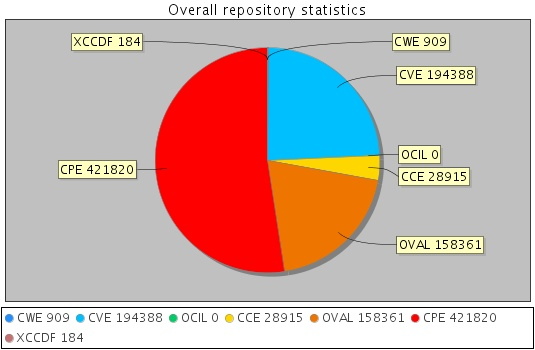 CVE-2009-2858 : Chain: memory leak (CWE-404) leads to resource exhaustion. CVE-2009-2726 : Driver does not use a maximum width when invoking sscanf style functions, causing stack consumption. CVE-2009-2540 : Large integer value for a length property in an object causes a large amount of memory allocation. CVE-2009-2299 : Web application firewall consumes excessive memory when an HTTP request contains a large Content-Length value but no POST data. CVE-2009-2054 : Product allows exhaustion of file descriptors when processing a large number of TCP packets. CVE-2008-5180 : Communication product allows memory consumption with a large number of SIP requests, which cause many sessions to be created. CVE-2008-2121 : TCP implementation allows attackers to consume CPU and prevent new connections using a TCP SYN flood attack. CVE-2008-2122 : Port scan triggers CPU consumption with processes that attempt to read data from closed sockets. CVE-2008-1700 : Product allows attackers to cause a denial of service via a large number of directives, each of which opens a separate window. CVE-2007-4103 : Product allows resource exhaustion via a large number of calls that do not complete a 3-way handshake. CVE-2006-1173 : Mail server does not properly handle deeply nested multipart MIME messages, leading to stack exhaustion. CVE-2007-0897 : Chain: anti-virus product encounters a malformed file but returns from a function without closing a file descriptor (CWE-775) leading to file descriptor consumption (CWE-400) and failed scans. Joao Antunes Nuno Ferreira Neves Paulo Verissimo .Detection and Prediction of Resource-Exhaustion Vulnerabilities. Proceedings of the IEEE International Symposium on Software Reliability Engineering (ISSRE). Published on November 2008. Pascal Meunier .Resource exhaustion. Secure Programming Educational Material. Published on 2004. M. Howard D. LeBlanc .Writing Secure Code 2nd Edition. Microsoft. Section:'Chapter 17, "Protecting Against Denial of Service Attacks" Page 517'. Published on 2002.